This article was written on 01 Apr 2013, and is filed under Gaza Report. When I visited Gaza for the second time in winter 2012, I managed and successfully took a small convoy of activists and citizen journalists to Gaza. 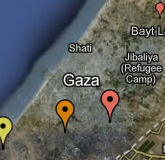 During my world talking tour I was struck by the number of people who wanted to visit Gaza. I was constantly being asked for information on how to safely get to Gaza. I referred people to my how-to guide. In trying to work out how to best-help these keen individuals I found that most didn’t want to travel alone the first time they visit Gaza, and most importantly that people wanted a managed, maximally-fruitful trip. 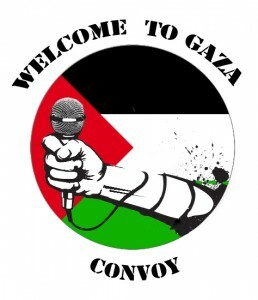 Welcome to Gaza is a fully-fledged convoy that I’ll take to Gaza in July 2013. I’ve started the initiative to satisfy the extraordinary demand that exists among international activists and media workers to visit Gaza. We, on the Convoy Team, hope to facilitate a tremendously meaningful, useful and unique programme for Convoy members in Gaza. We’ve decided to offer both a two-week and four-week programme in Gaza. The Convoy’s objective is “to raise awareness for Gaza in the West, to bring solidarity, and to promote international projects and working links”. 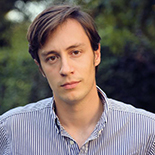 Most of its members will “have backgrounds in the media, campaigning and mental health”. You can read more about the convoy. Myself and the team are offering our services voluntarily to run the Convoy — it’s an entirely pro bono exercise. Anyone can apply to join.